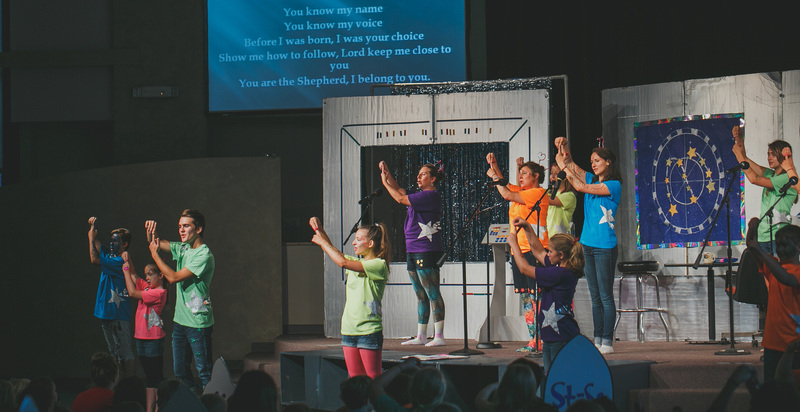 336 kids have come out to VBS this week, including 99 guests! Several kids have prayed to invite God into their lives and several others have said they are thinking about making that decision. Volunteers have worked tirelessly to make things run smoothly. Over 250 adults and student volunteers have served snacks, done crafts, sang songs and prayed to "let the little children come". In addition to the usual VBS activities, volunteers have manned the nursery, so that moms dropping off older kids can do Bible study or just chat with friends. They also put the memory verses to music, to help children easily memorize scripture. There's a parent lounge with volunteers engaging people in spiritual conversations. Please continue to pray for the children and guests who attended, that God's truth would continue to sink in and that whole families would be drawn to know you. And a big thank you to all of the volunteers who made this week possible.